With the Twin Sisters formation in the distance, the sun makes a quick appearance through the cloud cover hovering over the eastern plains of Colorado. 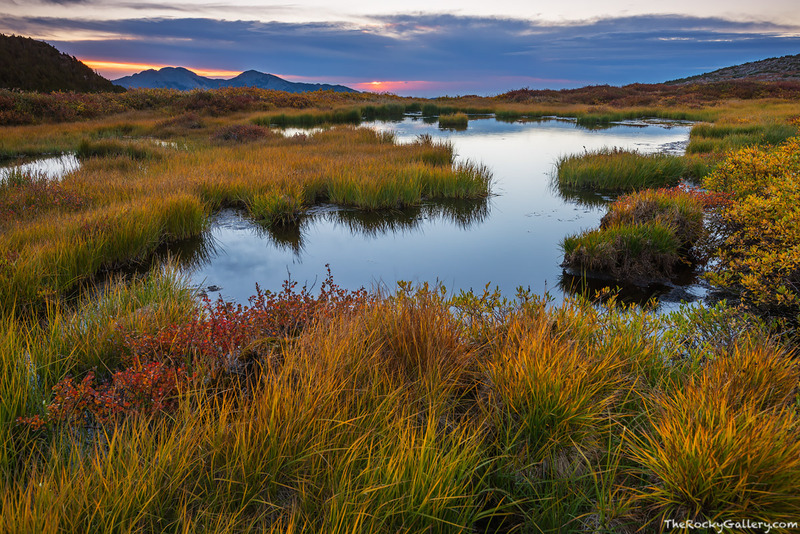 A beautiful alpine tarn located just below Longs Peak has its subtle fall colors on full display as the grasses and bushes turn red, yellow and orange. Photo © copyright by Thomas Mangan.